Commercial flat roofs are more likely to accumulate more snow and ice when it’s compared to pitched roofs. if the roof is designed with a high curb all around, it can be the main cause of the snow to park for long term rather than blow away with the wind. Depending on the sqf of the flat roof, dept of the snow can be a real danger if you ask me. There is big difference in between powder snow and wet moist snow. It may be dry and powder right now but as soon as thaw starts the weight of the snow will multiply. We have seen in the past flat roofs collapsing due to extra weight added on by the wet snow. It is very important to clear not all but most of it prior to thaw to avoid the structural stress and possibility of structural damage. We offer commercial and industrial rooftop snow removal in Ottawa and region. Give us a call or send us an email regarding your questions or inquiries. Leaky Flat Roof In Ottawa That Wasnt Leaking At All. Today we responded to an emergency flat roof problem in the east-end. Store manager was disappointed and tired of chasing the original roofing company who installed the roof. It was in the late afternoon and thunder-storm alert was issued. We examined the water damage from inside to pin point the possible location of the leak but nothing added up. Original leak was coming in from the second story and working its way all the way to the main floor. We noticed the water dripping by the duct-work on the second story and went up on the roof. Roof drain was very close to the entry location so we were assuming the problem was the drain but it just didnt make sense how the water was going onto the duct-line. After inspecting the entire roof we did find some overlapping seems that did not have any bleed marks from the torch. Torch-down membrane must have a 1/4 inch bleed-out indicating that fusion is complete and it is now one piece. Found the location of the drain from inside the building and there was no signs of water or moisture. Because the building was all cut-up it was kind of confusing where everything was located on the roof. 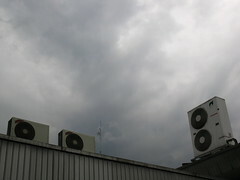 Once we figured out where everything was located on the roof, it was obvious that there was an issue with the A/C unit. I have seen this happen before where the ac unit bleeder gets clogged and water works its way in the building. As soon as i removed the pvc bleeder water was gushing out of the ac unit. This pvc pipe is designed to build pressure for the pump to force all the condensation and water out of the unit. Trap was clogged from all dirt and debris and water pooled up inside the ac unit and started to leak inside. We cleaned the trap and installed it back i its place. It took almost 5 minutes to leak to stop. Knowing that there was 5 ac units were up on the roof, we cleaned all 5 traps and installed it back in its place. Poor maintenance of your roof and anything that is located on your roof is a potential cause for leaks. 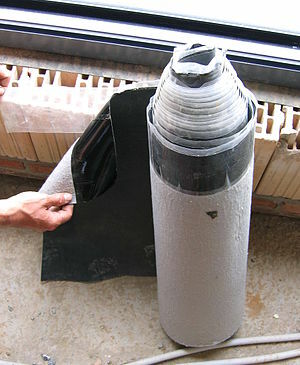 Always replace the ac filters regularly and clean out the pvc traps to avoid similar problems. Check all drains to make sure it is not clogged from dirt and debris. Always hire a professional to do the job. We offer residential, commercial and industrial pitched shingle roofing and torch-down flat roofing services. Our services include roof replacements, emergency roof repairs, new roof sales, installations and repairs. We do offer free roofing quotes and estimates in the national capital region in Ottawa and the surrounding. Some may think that curls on shingles are a design but unfortunately its a sign of water damage and potential small leak working its way thru. Small leaks can take some time to show results. Avoiding basic home maintenance can cost you bottom line. Identifying the problem ahead of time is a simple homework for homeowners. If there are multiple issues with your roof during winter and summer, repairing it is not the right solution. Entire roof must be inspected for signs of age, wear and tare. 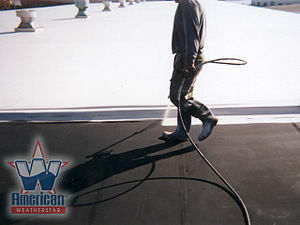 Problems experienced during winter can be a result of unprotected roof deck. 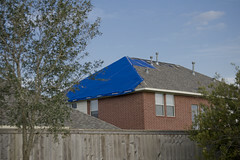 Ice and water shield is designed to protect underneath the metal valleys, along the gutters at least 3 or 6 feet high. Rest of the roof should be covered with #15 felt paper. Only a roofing specialist can inspect your roof and present you with all the details. At the end of the day you will decide how to protect your investment. Everything has a cost and there is demand for everything. Millions of houses are being sold every year from him to her to him. Buying and selling requires appraisals, inspections, and an agent that talk too much and a bank. Most important parts of your home is the foundation and the roof. Buy and sale wisely, hire a local roofing company to inspect your roof a to z. Request a free roofing estimate and understand the value of it. DIY required hand tools and safety tips when it comes to roofing. There are many different ways of doing things but there is always and do’s and don’ts. When it comes to replacing a pitched roof there are many factors to take into consideration. Safety is always the number one issue when it comes to heights. Before i walk you thru this there must be a check list for anyone who is willing do attempt a DIY project. First of all there are many hand tools that you’ll need to have prior to starting things like; a long extension ladder, rippers, roof jacks, planks, tool pouch, hook blade and knife, hammer, hatched, harness, rope, rope grab, 3 inch spikes/nails, measuring tape, knee pads, gloves, broom, tin snips, rake and a cooler full of drink. If using a air gun will need a compressor and long air hoses. Lets get up there and secure ourselves. Extend the ladder 3 feet higher than the actual contact point where the ladder meets the roof. Be sure to place the ladder where its flat and grass is always preferred by me personally. If you ask why; i like to use the teeth on the ladders base and drive it right into the grass for a more stable ground so that the ladder will never move or shift. Once the needed height is reached, tie the ladder rope so that it will be the permanent setting. Always use 3 point contact when climbing a ladder. We made it on to the roof and now we must anchor ourselves. Use 3 inch spikes/nails and hammer your roof anchor to the peek of the roof on to the roof trusses. If nails are not catching anything solid, relocate your anchor. Be sure to drive at least two nails on each sides of the anchor. Hook your rope to your anchor, attach your rope grab to the rope (be sure to look at the proper direction on the rope grab), connect your lanyard to your harness and then connect the other end of your lanyard to the rope grab. Test the rope grab and make sure it locks when the needed weight is applied. We are safe and secure on the roof, its time to start working. Horsing around on a high roof can be very dangerous for yourself and the others. If this is your first time roofing be sure to get someone experienced to help you. There are lots of older homes in Ottawa Ontario that does not have significant ventilated soffit installed to increase the fresh air flow into the attic. Majority of the older homes did not come with that feature and those homeowners replace the roof way more often than they should. Roof vents are designed to help all the fumes, hot air from your attic to escape so that the temperature of your attic is same or similar to outside. 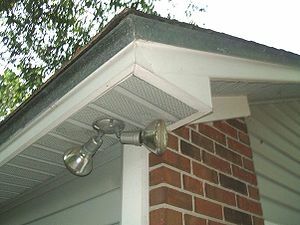 In order for the roof vents to work properly it requires fresh air to enter from the soffit. When there is no intake/fresh air entering the attic ventilation process is very slow maybe even non. You can install as many vents as you like but it requires fresh air to create a force to complete a cycle. During winter months it is very easy to point out which house does not have proper air circulation just by looking at the ice dams. When the snow covers the vents on your roof it suffocates your attic and that causes condensation, forces the hot air to exit from the soffit instead of the roof vent itself. Hot fumes exiting from the soffit creates a thaw action daytime and allows it to freeze overnight. After few weeks of that will give you a massive ice dam that will form along the eavestrough and it will work its way along the metal valley. It can get messy once this ice starts to melt and cause major water damage to the houses. 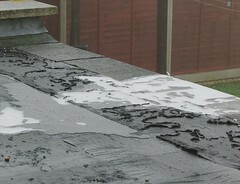 It is not a very big job to do but there are only certain roofing companies who will be able address that issue. 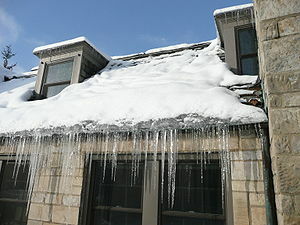 Many roofing companies would want to get paid for removing ice dams instead of fixing the lack of air balance. We offer residential and commercial soffit and fascia sales, installations, repairs and services in greater Ottawa region. We also do offer free quotes and estimates to potential customers who is experiencing that types of problems. It can be frustrating when the closing date is coming up and not sure if the roof will perform as it supposed to. When it comes to a structure of a house or building the most important key players are the roof and the foundation. If the foundation is in good standing and no moisture marks or leaks it is a good sign. If there are damp sections or visible cracks, it can be a potential problem eventually. I am not sure when the building code has changed about the waterproofing membrane against the foundation walls and whipping tile systems but if your house has water proofing membrane it is a good thing. If there isn’t a waterproofing membrane against the foundation, i would have the foundation walls inspected very closely because it will cost you tens and thousands to have it repaired properly. If there are minor cracks on the inside foundation walls, that can be injected with liquid expanding epoxy and have it fixed. The roof may look in okay shape from 30 or 40 feet but there may be cracks, lack of underlayment or ventilation, lack of insulation or even shingles that are completely bone dry. An average roof repair can cost you anywhere from 250? and up depending on the roofing company you hire. Cost of replacing a roof is determined by the difficulty level, total square footage and how many valleys and hips. Installing proper ice and water shield and sealing the entire roof with tar/felt paper is a step before installing the actual shingles. It’s not about the name or brand of the product, how it has been prepped and how the shingles has been installed is the most important. It is every home and business owners job to take all the necessary steps to do preventive maintenance when it comes to residential and commercial roofing. Some of the homeowners or landlords wait for a problem to occur and some think of it before hand. It is always cheaper to get it done before its to late. If there are issues with the roof and you are avoiding it, it can cost you way more than you think. There is nothing wrong with repairing it here and there but the real question is how often your roof needs to be repaired, how much money have spent on repairs and the final question is how much would cost to replace the entire roof? It is always free to request a roof replacement quote by a trusted roofing company in your area. Do not over kill it with 8 estimates, 3 roofing estimates are more than enough. Observe all three estimates one by one. Understand all the steps what the roofing company will take to replace your roof. 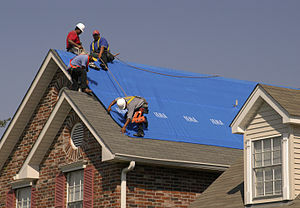 If you have any questions about the estimate call the roofing company and ask. Roof replacement prices can vary from company to company but there is always a reasonable price that would suit your budget. 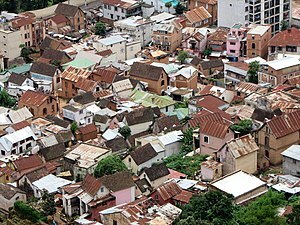 If there is an issue because of the financial status, consult your concern to the roofing company of your choice and see what they can do to help. Do not fall for the under cutter or the over priced quote, choose the most reasonable one. We are a local roofing company located in Ottawa Ontario offering residential and commercial roofing, siding, foundation repairs and snow removal services. We accept credit card payments thru PayPal, personal cheques and cash. If the customer is requesting some sort of payment plan due to financial problems, we can definitely set up a payment plan that will suit your budget. Stay away from high interest scams. Only fee that we will charge you is a 3% processing fee for PayPal transactions. Monthly payments are not subject to any interest at all. All of our services are available in the cities of Ottawa, Nepean, Barrhaven, Kanata, Stittsville, Manotick, Greely, Gloucester, Orleans, Cumberland and Rockcliffe Ontario. Call 613-255-2323 or email 613roofing@gmail.ca for your free quotes and estimates.